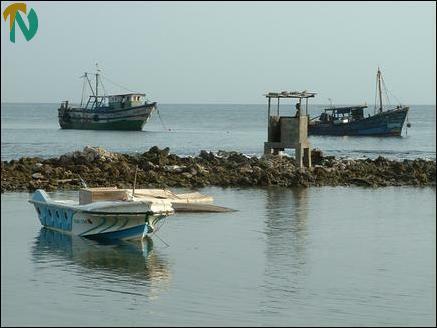 A Group of Vadamarachi fishermen in the Jaffna district Wednesday around midnight took into their custody ten Indian fishermen with their trawlers when they were engaged in poaching in northern waters. The Indian fishermen and their trawlers were brought down to the Vadamarachchi shore and later handed over to the Point Pedro police through the village level officer (Grama Sevaka) of the area, Police sources said. 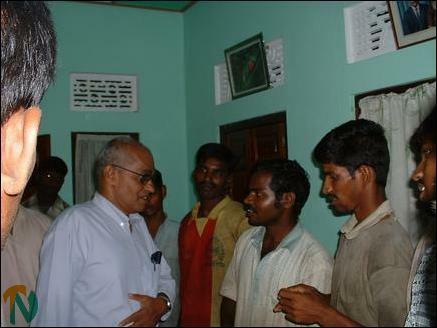 The captured Indian fishermen were first kept in a house near Inbaruty, a fishing hamlet in Vadamarachchi division by Jaffna fishermen. 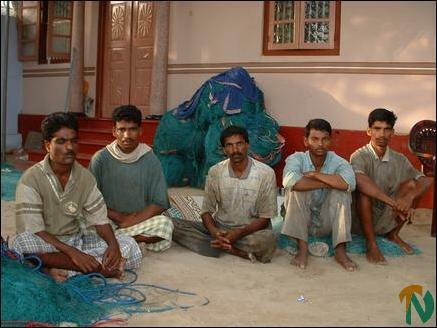 They have been identified as fishermen of Nagapatinam in South India. The names are, Palaniappan Senthil (28), Thiruvonam Amirthavel (22), Thirvonam Palanivel (27) Thiruvonam Balamurugan (29), Thiruvonam Kumar (22), Thangappan Supiravel (23), Vaithinathan Suresh (27), Manickavel Surenthiran (18), Thangappan Mahendran (33) and Manickavel Veeramani (30), sources said. 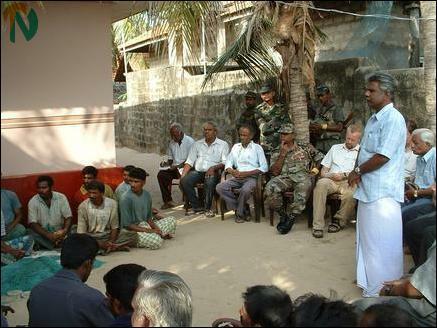 The decision to hand over the captured Indian fishermen to the police was taken at a conference which was attended by monitors of the Sri Lanka Monitoring Mission in Jaffna, representatives of the Vadamarachchi Fisheries Co-operative Federation, officials of the Department of Fisheries and high officials of the Sri Lanka Army and Sri Lanka Navy. 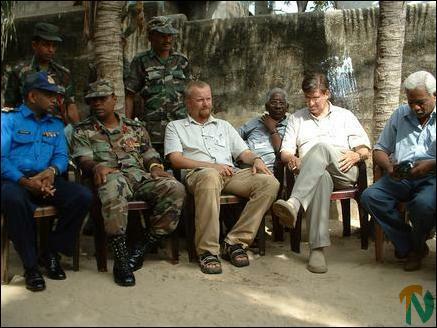 Mr. Iniyavan, LTTE political activist also participated at the discussion held Thursday morning at the private house at Inbaruty village, sources said. Vadamarachchi Divisional Secretary, Mr. S.Sivasamy, and Jaffna coordinator of the Human Rights Commission of Sri Lanka, Mr.Ruwan Chandrasekara, also participated in the discussion, sources said. “A permanent solution should be found for the poaching by the government authorities. Though informed of this menace, the SLA and SLN were not showing any interest to apprehend Indian fishing trawlers entering the territorial waters of Sri Lanka,” Vadamarachchi fisheries co-operative representatives charged. Finally the fisheries representatives agreed to hand over the captured Indian fishermen to the Point Pedro Police through the Grama Sevaka Officer of the area and to keep the two Indian trawlers in their custody until the Indian High Commission authorities in Colombo and the Sri Lankan government officials find a solution to the poaching problem, sources said. SLMM representatives requested the SLN officials present at the discussion to increase its patrolling to prevent Indian trawlers entering Sri Lankan territorial waters. SLN officials replied that they are not equipped with enough vessels to patrol the sea. However the SLN officials assured that they would be informing the higher authorities about the poaching issue, sources said. SLMM representatives told the SLN officials that earlier they attended the high security zone problems on the land. Now it has to attend to the HSZ problems in the sea area also. “Therefore the SLN should equip it well to tackle problems in sea,” the SLMM told the SLN, sources said.